The Bandung based apparel brand known as The DND EXE recently dropped another lookbook and introduced us to beautiful actress and model named Lauren Rhoden. Why Lauren? They do not have to throw a question for this famous beautiful model as she is currently one of the best fashion icon out there if not the hottest thing on social media Instagram. The attractive woman spent her childhood time in the paradise known as Hawaii. Before become a model she is busy training horses and teaching people how to ride horses. She was actually never intended to become a model, until age 15. One of her friend invited to a model casting and all the journey start from there. Lauren Rhoden now based in Hong Kong and start pulling attention of many international fashion brands. Taking place at the top of building in Hong Kong, a little bit windy but Lauren giving all she got with amazing poses. She is looking damn fine with the latest collection from The DND EXE. If you take a closer look, you will find several new graphic t-shirts, jackets, shirts, and of course comfy pants. No doubt, She is the right woman on the right place for The DND EXE spring and summer 2015 collection. For more information about Lauren Rhoden or the latest collection from The DND EXE, feel free to visit their official site by click the link above or follow their official Instagram account. 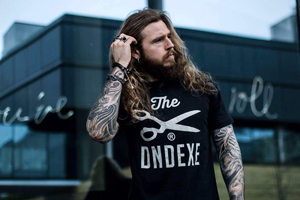 DND EXECUTION or they called it The DND EXE is a clothing company which provides high quality apparel and stuff for the youth who have an excellent taste of art, music, design and various freedom experssions. They creates garments that they want to easy to wear everyday. Founded in the end of 2011 in Bandung, Indonesia as a small shirt factory, their success results from providing quality shirts for some local or independent brands. Not only for Bandung local brands, but also for some brands from another big cities in Indonesia. Their capabilities to produce quality shirt with the high attention to details and also the ability to represent the lifestyle of fashion trends made them want to produce their own goods. 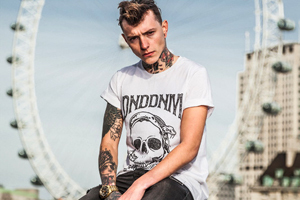 With their high reputation to produce quality shirt as their business core, they launched their own label in 2011 in same name with their factory, The DND EXE. Urban lifestyle is the most influence for them to produce a simple and clean product. But music and art, as a part of their lifes give them most important elements especially represents as the details of their products. The core of their business in “executed” quality shirt, represent in their “Scissors” Logo. The logo represent their capabilities and abilities to produce handmade quality goods, not only shirt, but also t- shirts, pants, jackets, and another apparel line. They market their products through their online store www.thedndexe.com and also they sell their product in some nationwide retailer, such as in Padang, Jakarta, Makassar, and Bali.